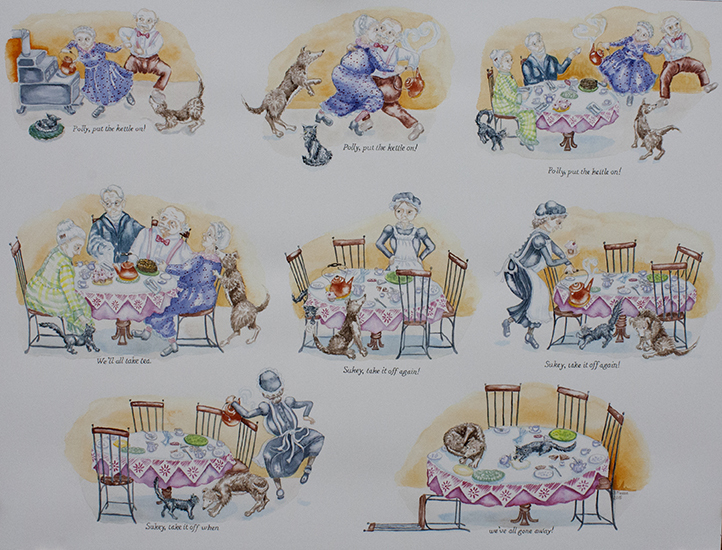 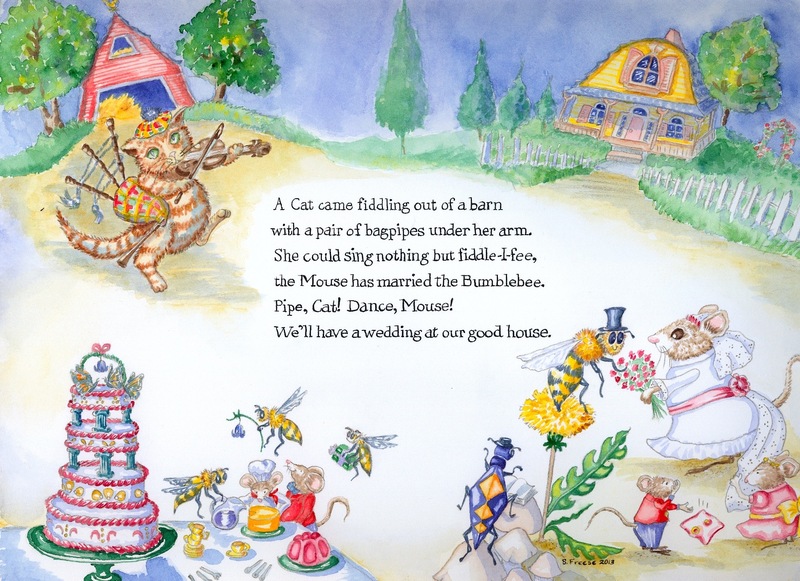 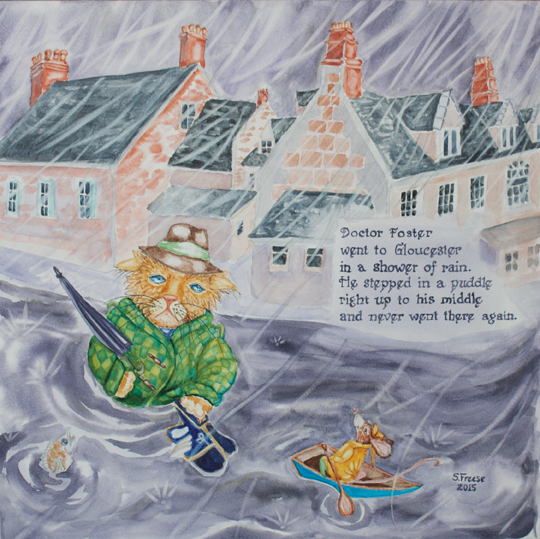 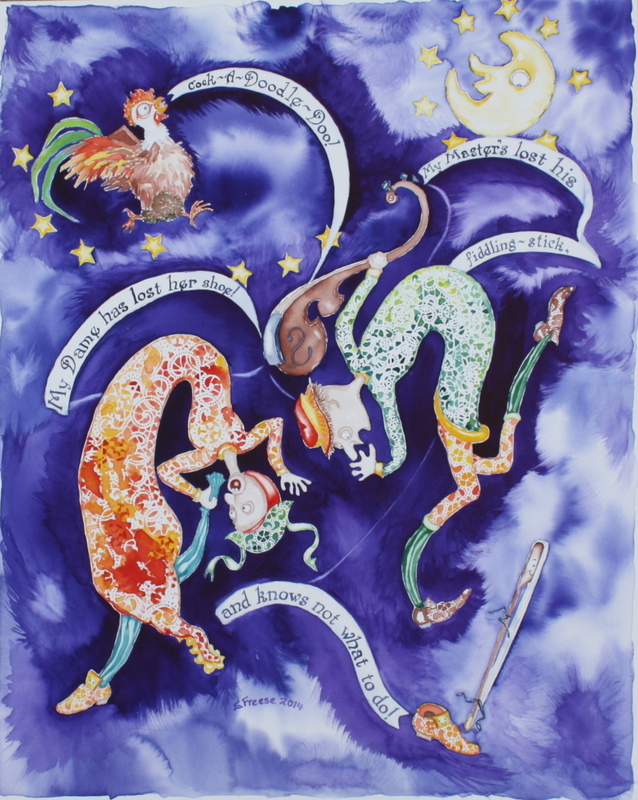 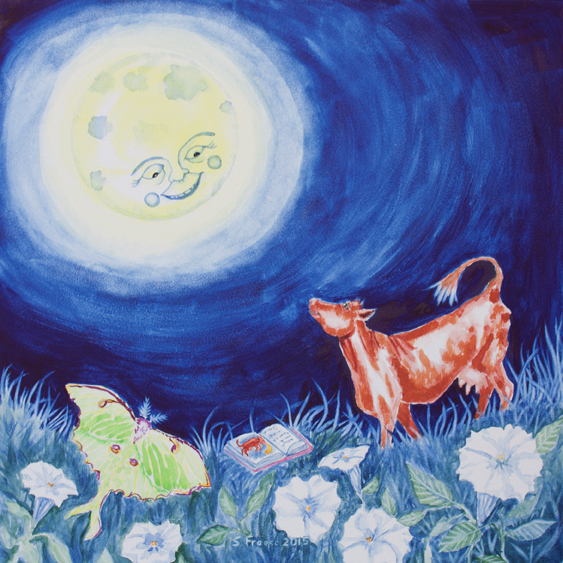 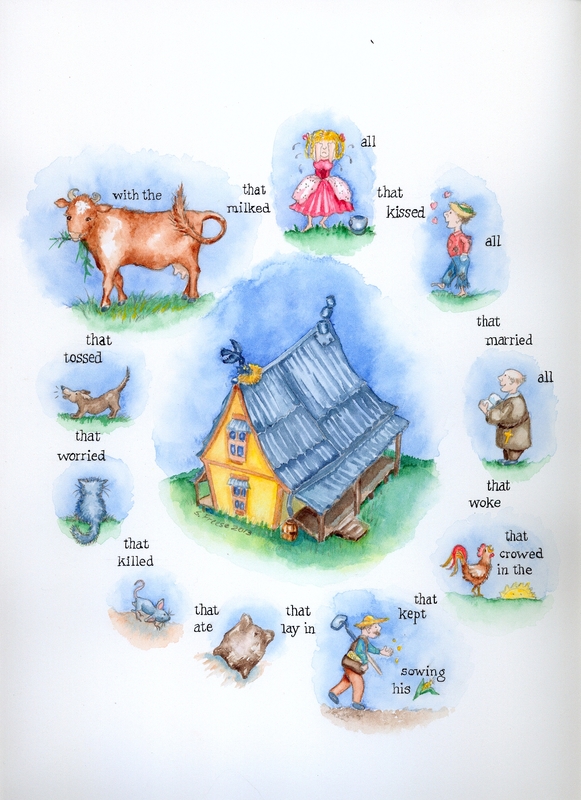 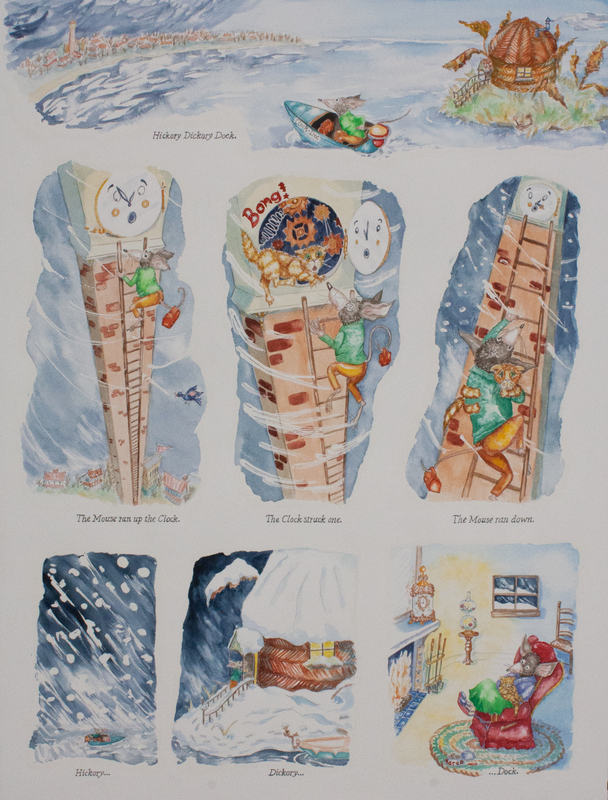 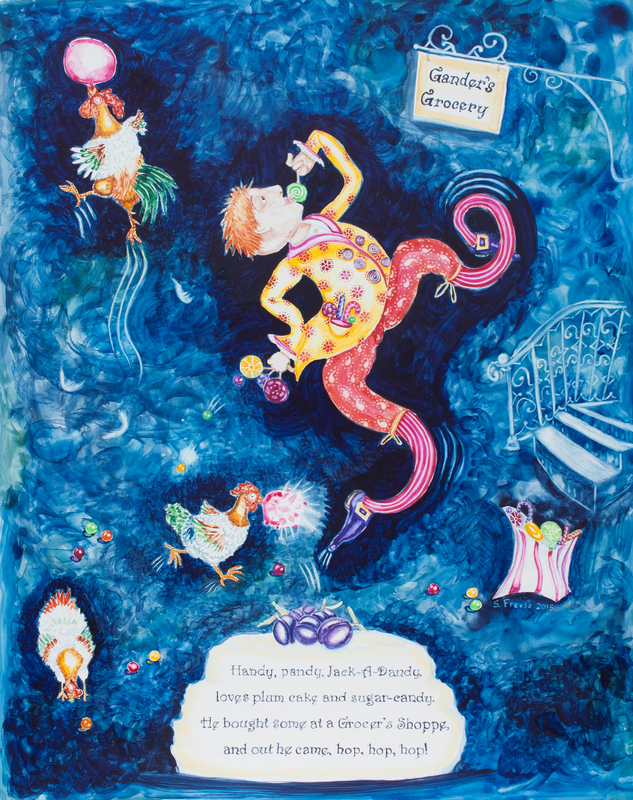 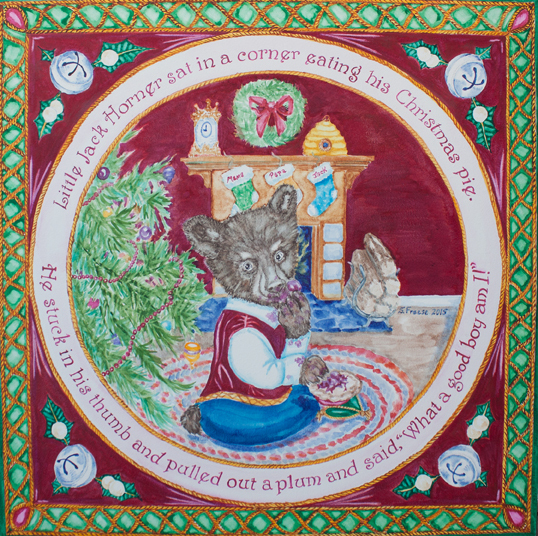 These original watercolor paintings on paper or clay-surface board celebrate classic Mother Goose rhymes. 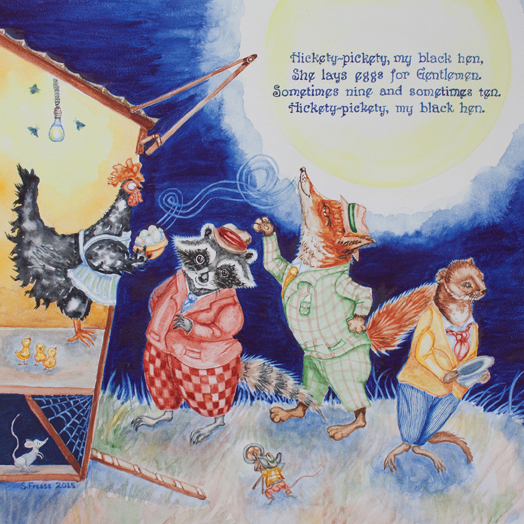 Each original piece is professionally framed and double matted, and includes protective glass. 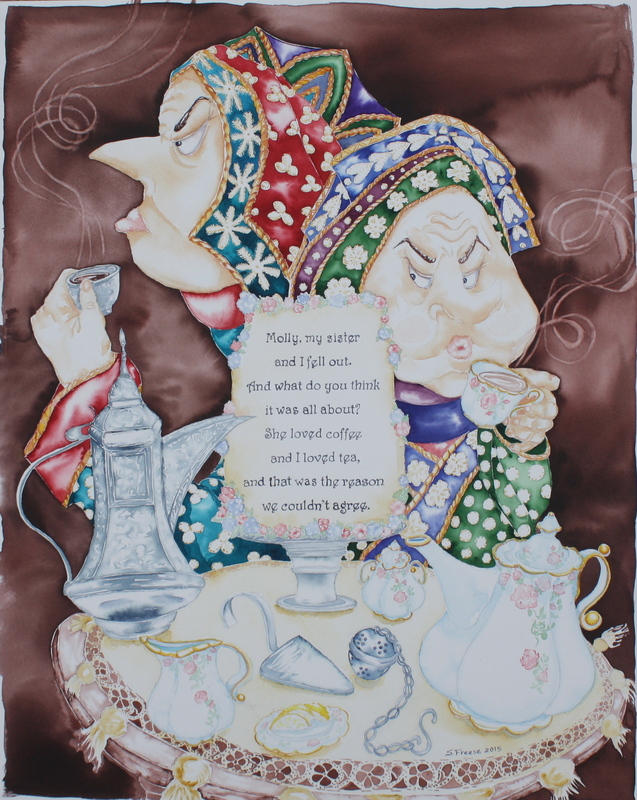 Framed sizes are listed. 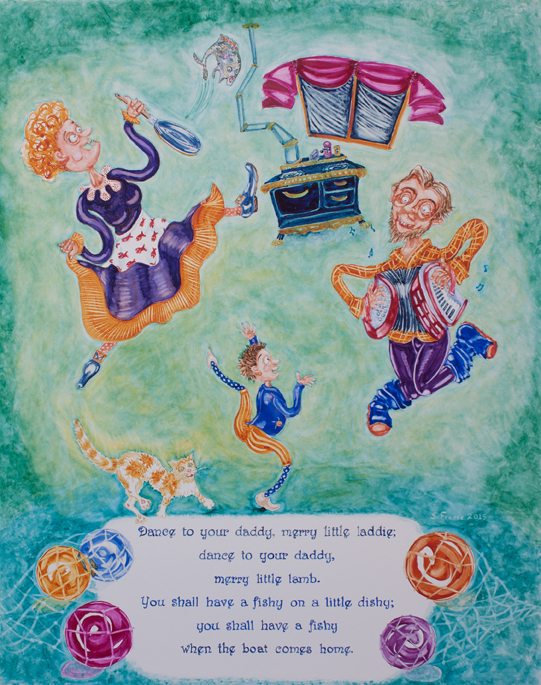 If you would like further information about the framing on a particular piece, please contact me at shelleyfreese@gmail.com. 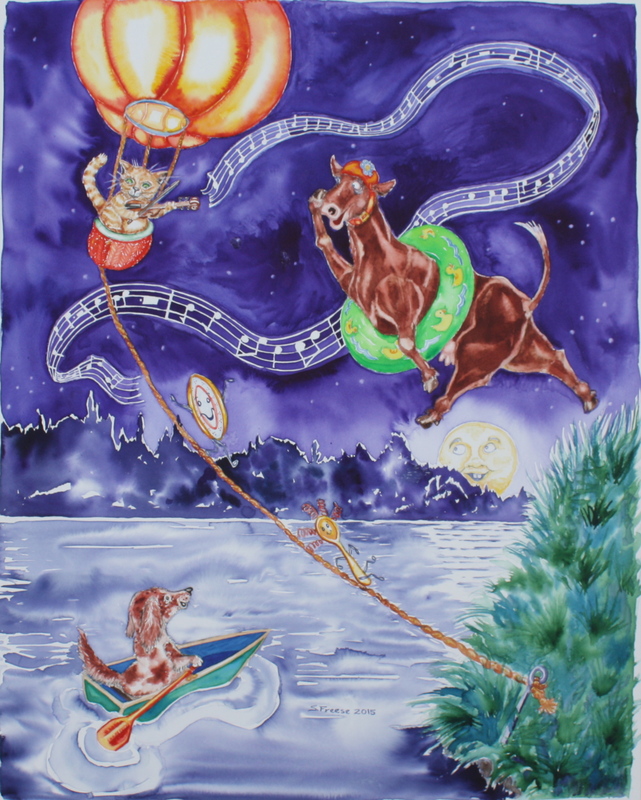 Many are also available as economical prints.